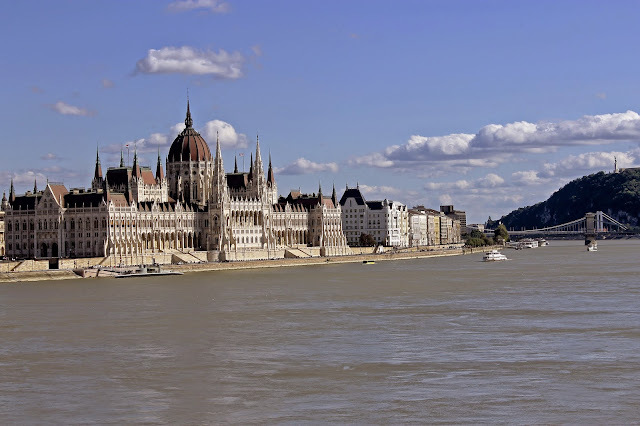 Following on from the cruise I enjoyed at the end of August along the Danube from Budapest to Bucharest, here are four more of my images, the first three from Budapest, Hungary and the fourth something rather different, from Croatia. The Hungarian Parliament building from the opposite bank of the Danube. The building stretches 268 meters in its length, along the Danube embankment. Ornamented with white neo-gothic turrets and arches, it forms the most outstanding landmark of the Pest side horizon. Statues of Hungarian monarchs and military commanders decorate the outer walls. The Chain Bridge can be seen in the background. 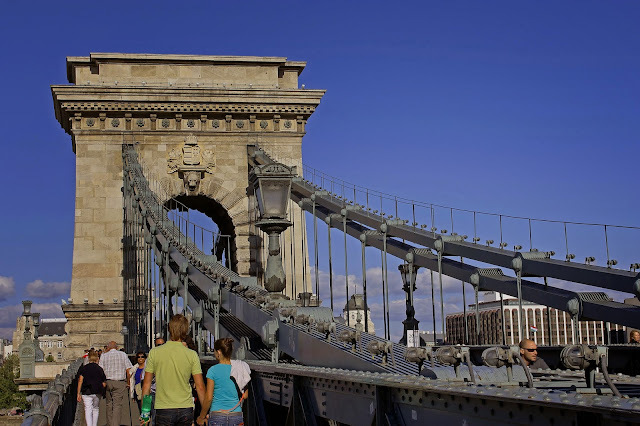 The Chain Bridge, which can be seen in the background of the above image, ( officially the Széchenyi Chain Bridge) was the first permanent stone-bridge connecting Pest and Buda, and only the second permanent crossing on the whole length of the river Danube. 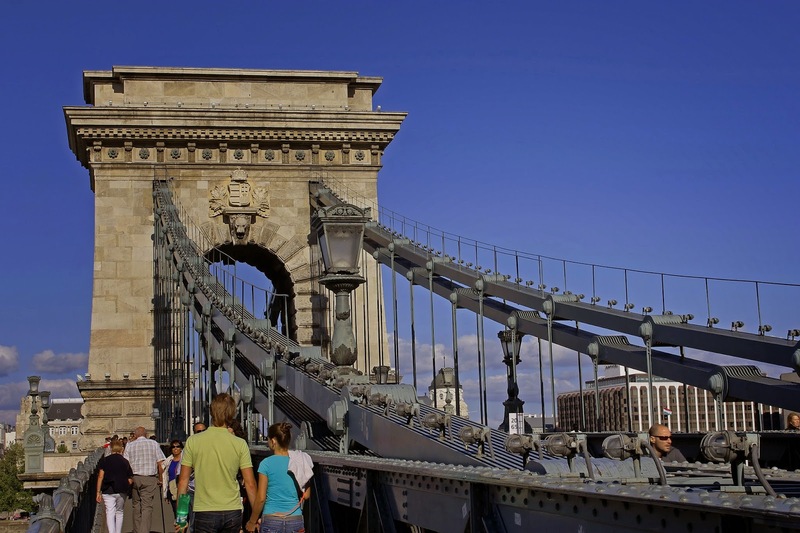 At the time of its construction, it had the second-largest span in the world of any suspension bridge. It was designed by the English engineer William Tierney Clark who had previously used the same design on a smaller but identical bridge crossing the River Thames at Marlow. A mural in the Hungarian capital of Budapest celebrating their famous 6-3 victory over England on 25 November 1953 to become the first foreign team to beat England at Wembley. 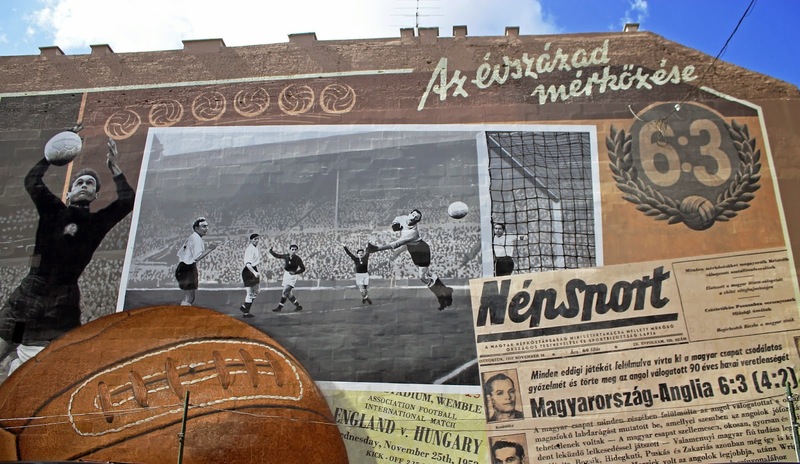 At the time they were the world's number one ranked team, the Olympic champions and on a run of 24 games unbeaten. After leaving Hungary we sailed down the Danube to the town of Vukovar in Croatia. Vukovar is a city in eastern Croatia. It has Croatia's biggest river port, located at the confluence of the Vuka River and the Danube and the population was 26,468 in the 2011 census. 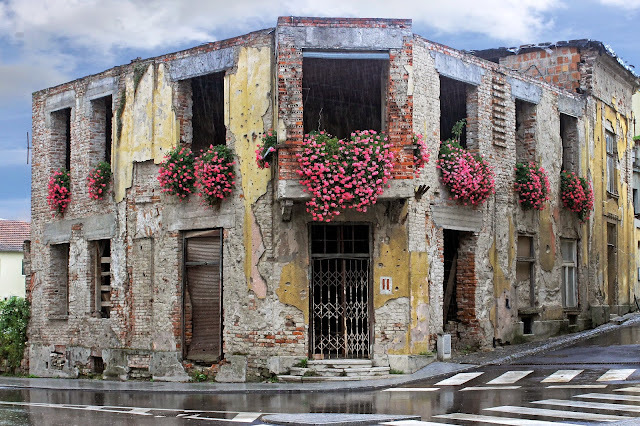 This is an image of a bombed out house in the town, left like this as a memorial to the Serbo-Croatian war. Vukovar was heavily damaged during the Croatian War of Independence when approximately 2,000 self-organised defenders defended the city for 87 days against approximately 36,000 Serbian troops supplemented with 110 vehicles and tanks and dozens of planes. The city suffered heavy damage during the siege and was eventually overrun. The damage to Vukovar during the siege has been called the worst in Europe since World War II, drawing comparisons with the World War II–era Stalingrad.